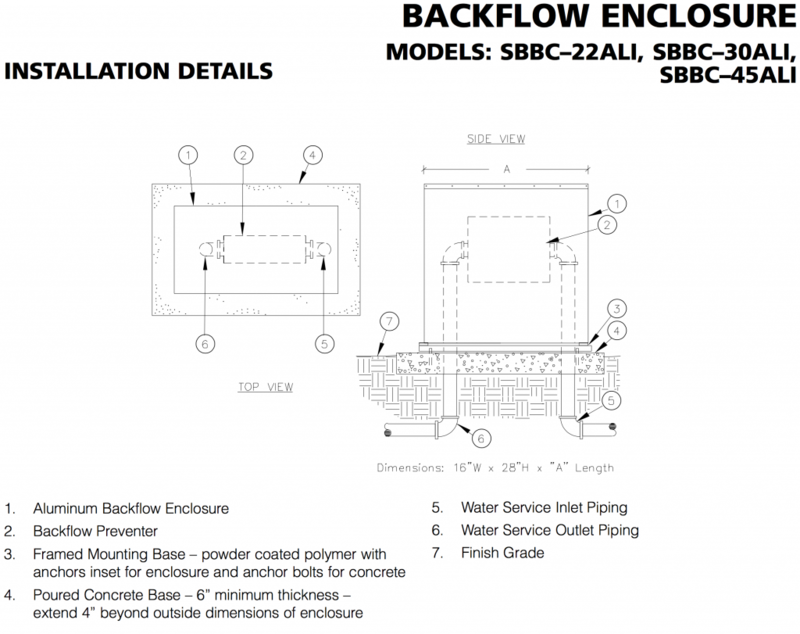 The backflow enclosure shall be of a vandal resistant nature manufactured entirely of marine grade aluminum alloy 5052-H32,with a wall thickness of one eighth inch. The mounting base plate shall be manufactured of stainless steel and powder coated. The main housing shall be of solid sheet construction with stainless carriage bolts used for assembling enclosure sides top and ends. The enclosure shall have a drop down door with stainless hardware hidden beneath door frame. 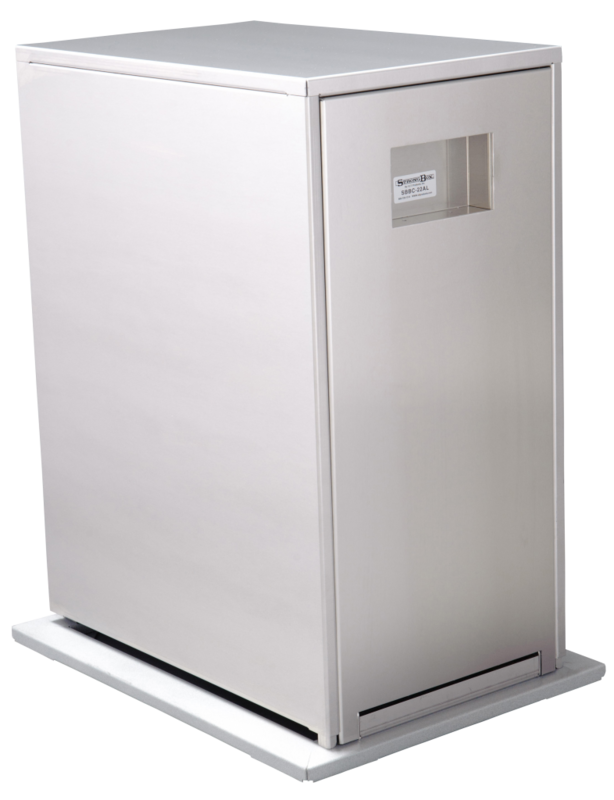 The enclosure body shall lift open, pivoting from the back edge mounted to base also with hidden stainless hardware. Enclosure shall stay secured to mounting base plate in open and closed positions. Mounting Base shall have concrete anchor bolts to submerge into concrete leaving mounting base flush on concrete surface The enclosure door shall have a recessed handle and provide a concealed hasp for a padlock.